• Combine the flour, salt and pepper in a plastic bag. • Shake the chicken pieces in flour until coated. •Heat the oil in a large skillet (one that has a cover/lid). • Fry the chicken pieces until they are browned on both sides (about 10 minutes). Remove from skillet. • Add the onion, garlic and bell pepper to the skillet and saute until the onion is slightly browned. (About 10 minutes). 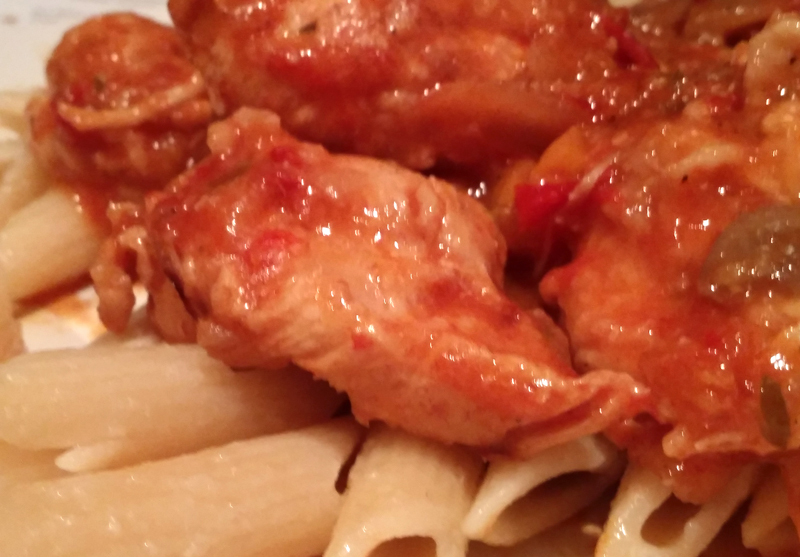 • Return the chicken to the skillet and add the tomatoes, oregano and wine. • Cover and simmer for 20 minutes over medium low heat. • Add the mushrooms and salt and pepper to taste. • Simmer for 10 more minutes.